Every day in Atlanta and Georgia, a construction worker is killed or maimed due to the negligent conduct of another. By the very nature of construction sites, many dangerous situations exist that can lead to serious injury or death. Construction accident injuries are commonly due to falls from roofs, ladders, or scaffolding, crane accidents, holes without guarding or barricades, electrocutions, lack of catch nets, heavy lifting, or being hit by falling objects at the construction site. Many other workers are injured while using defective or dangerous products or equipment, such as scaffolding, cranes, power tools derricks, hoists, conveyors, woodworking tools, ladders, winches, trucks, graters, scraper, tractors, bulldozers, forklifts, and many other types of construction equipment. Work-related claims can require an attorney to ensure your rights and potential compensation are protected. What Should Be Done When a Construction Accident Occurs? The legal issues involved with a personal injury or death at a construction site can be complicated by the ownership or the location of the site itself and the many parties involved. Often after a worker is injured, representatives and lawyers of the different companies will hire investigators and photographers. A construction accident personal injury lawyer representing the injured party can be crucial to gain access to the site and intervene on behalf of the injured employee or their family to insure that evidence is preserved and their rights are protected. Why Do I Need a Construction Accident Attorney to Help Oversee the Investigation? A construction accident attorney may hire a private investigator to interview witnesses and research the ownership of the site, including the names and positions of authority of all parties involved. 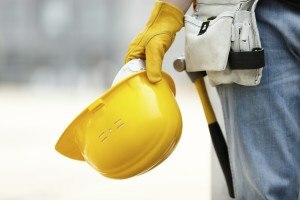 The construction accident lawyer may then contact the companies and demand access to the facility, or obtain a written agreement that the site in question (and any evidence at the site) will be preserved until it has been inspected by the injured party’s attorneys, experts, or consultants. If such an agreement cannot be reached, then an immediate lawsuit or injunction may be needed to obtain a court-ordered inspection. Oftentimes, the faster an attorney gets involved, the better it is for the injured person. Indeed, time can sometimes be the victim’s worst enemy in construction accident cases. Workplaces change, workers move on, and witnesses’ memories often fade. For a free evaluation of your construction, crane, or scaffolding injury case, call the law firm of Slappey & Sadd, LLC at 404.255.6677.